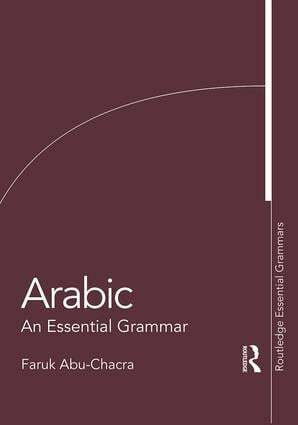 This new edition of Arabic: An Essential Grammar is an up-to-date and practical reference guide to the most important aspects of the language. Suitable for beginners, as well as intermediate students, the book offers a strong foundation for learning the fundamental grammar and structure of Arabic. The complexities of the language are set out in short, readable sections, while exercises and examples are provided throughout. Ideal for independent learners and for classroom study, Arabic: An Essential Grammar is the complete reference guide to the most important aspects of modern literary Arabic. Faruk Abu-Chacra is Senior Lecturer Emeritus in Arabic at the University of Helsinki, Finland.